Many of us are tempted to bend the truth a little in order to secure cheaper insurance premiums. But it's a dangerous - and potentially expensive - game to play. Ever wondered what would happen if you told a few white lies when you applied for car insurance? After all, does it really matter who the main driver is? And does that speeding conviction from a few years back really make any difference? You’re a good driver so surely a few little fibs to save yourself a few quid is ok in the grand scheme of things? The truth is it does matter, to insurance companies at least. If you lie on your application for insurance you could find your policy is invalid when it comes to making a claim. In the worst case scenarios you could be prosecuted for fraud or blacklisted by insurance companies. The most tempting method to get cheaper car insurance is for a parent to insure a vehicle in their name as the main driver, with their son or daughter down as an occasional driver, when in fact the child is the main user. This little trick is commonly known as “fronting”. A survey by the Association of British Insurers earlier this year found that more than half of motorists surveyed said they would not rule out doing this, despite the fact that it is fraud, could invalidate their insurance and lead to a criminal conviction. A car is a significant purchase. Take your time and ensure that you get the best possible deal. For more on fronting, check out This lie could cost you thousands. Lying about your past is tempting when it comes to car insurance. Previous claims and driving offences will bump up your premium. In some cases omitting to mention past claims will be detected when you take out the policy. If they’re not, chances are you will be found out if you have to claim again. Insurers now have very sophisticated software, introduced to combat organised fraud, which analyses claims for patterns. All the insurance companies share the claims data so you’re likely to be caught if you lie or omit the truth about your driving history. The same goes for motoring convictions. In some cases minor convictions won’t make a massive difference to your premium anyway so it’s best to own up. Lying about your address is another common fib drivers tell their insurers. It’s commonly used by young people living in high-risk inner city area but insuring their car at their parents’ address, normally a nice safe village in the country. But if you have an accident miles away from where you say you live, claims investigators will probably look into where you - and your car – spend most of your time. Guest blogger Paul Goodwin of Aviva looks at what auto-enrolment could mean for future generations of pensioners. The same goes for where you park your car at night. The safest options from an insurance point of view are a garage or driveway, as opposed to on a public road. However you’ll be quickly exposed by your insurance company if you claim to park overnight in a garage - but it turns out you don’t have one. Will you get found out? In many cases if you lie to your insurer and don’t ever have to make a claim then you might never get found out. But is it worth the risk? Insurers, the police, the DVLA and other bodies in the car insurance industry are increasingly sharing data in order to clamp down on those committing insurance fraud. And don’t assume that once your application for insurance has been accepted, and you’ve been sent the policy, you’re in the clear. 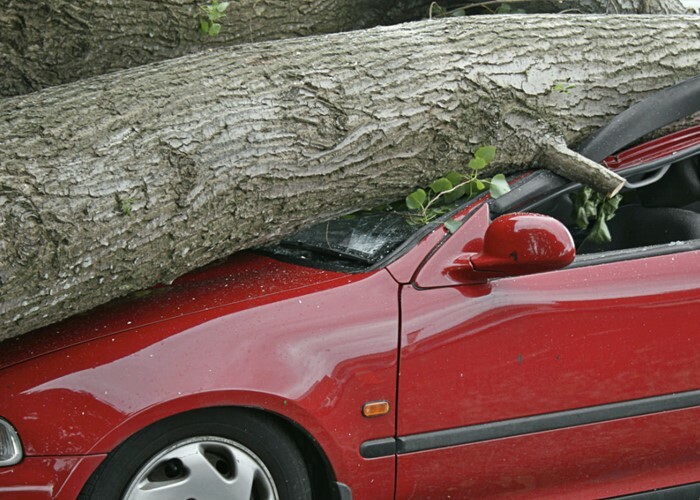 Generally if you need to make a claim the insurer will do further checks. If it finds out you lied on your application form then it’s perfectly within its rights to reject your claim and cancel your policy. As well as affecting any money you’d receive towards repairs or medical treatment, this could mean any other driver you injure or whose car you damage will pursue you through other channels to get compensation. Depending on the severity of the lie, the insurance company could prosecute you for fraud – which could land you with a prison sentence in the most extreme cases. Once you’ve been convicted for fraud you’re likely to find you’re blacklisted by pretty much all major insurers in the future. You’ll either find it impossible to get cover or pay well over the odds for it. Insurance fraud isn’t a victimless crime either; it costs every honest driver more money. The Insurance Fraud Bureau estimates that undetected general insurance claims fraud costs £1.9bn a year, with £350 million coming from fraudulent car insurance claims.This adds an average of £44 to the average customer’s insurance bill. So, think again. Is that white lie you tell your insurer really as harmless as you think?